Just as there is no cure, no magic bullet exists to prevent Alzheimer’s disease. On the other hand, there is compelling evidence that we can do certain things to delay the onset of the disease and even slow its progression. If we follow enough of this advice, perhaps we can avoid it altogether. It is becoming evident that lifestyle plays a big role in many diseases. What we eat, where we live, what we do with our leisure time: all of these are now known to play a very significant role in how likely we are to get cancer, heart disease, diabetes, and other of our most feared diseases. The same is true of for preventing Alzheimer’s. Our genetics may be a big factor in whether or not we will eventually be affected by it, but our lifestyle and other environmental factors, factors we can control, are also potential contributors. There is less evidence in the professional literature that these steps will prevent dementia, but environment and lifestyle are probably to some degree causal factors in almost all forms of dementia. 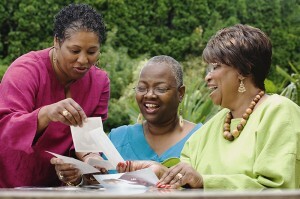 Read more about what we might do to prevent Alzheimer’s. Obviously, right? More and more, diet is understood to be the most important element in everything health related. To optimize good health and minimize bad health we look first to our diet. And a diet that will most likely keep Alzheimer’s away is, essentially, the same as the one that will keep your heart healthy, your cholesterol level down, cancer at bay, and your glucose levels in balance. Water – Any healthy diet should begin with pure and clean water. Tap water often (usually?) contains undesirable elements and bottled water is unregulated and usually bottled in plastic. Filtering your own water is probably a better option. Water filters are available in a broad price range – and range of effectiveness. A cheap water filter is probably not much better than no water filter. Buy the best one you feel you can afford, and if you have a favorite, please let us know. Whole Foods – Processed foods, like white sugar and flour, are responsible for many health problems. Eat whole grains and fresh fruits and vegetables whenever possible. 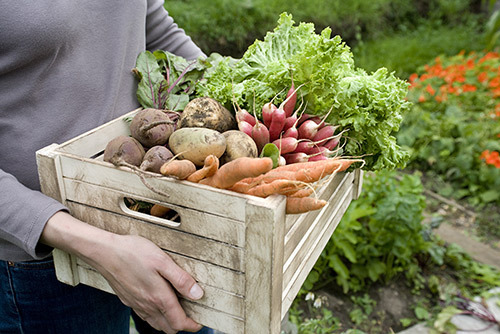 There is a raging debate about organic vs. “conventionally grown food. In our view, organic is best, since these foods will not contain pesticides and other chemicals often found in food, and are more nutritious. Minimally Processed Foods – In general, the more processing a food undergoes, the more that is added to it or taken out of it, the less healthy it will be. Look particularly for sugars (sugar, sucrose, glucose, fructose, corn syrup, high fructose corn syrup), hydrogenated and partially-hydrogenated oils, and ingredients you’re not sure how to pronounce. Also minimize or eliminate junk food including fast foods. Even the “healthy” food at fast food restaurants is not all that healthy. It is nearly impossible to eliminate all processing, all junk, but the less of this stuff we eat, the healthier we will all be. Vitamins and Supplements – Dietary supplements are unnecessary if you maintain a good diet. Of course, but that is one big “IF.” A good diet, a proper diet, is almost impossible given the food supply chain with which we have to contend. If you choose to supplement your diet, look for natural ingredients, and steer clear of inexpensive products. Bargain supplements is one of those instances in which cheaper is more expensive. And remember what your mother told you; don’t hurry and chew your food well. Don’t overeat or eat late at night. Eat Locally –Whenever possible, eat foods that were grown or produced in your geographical region. Better yet, grow your own! There are real health as well as economic benefits to doing this. Avoid Aluminum –Although there is no proven connection, it has long been suspected that aluminum might contribute to Alzheimer’s disease. Avoid GMOs and Genetically Modified Foods –There is not much evidence available one way or another on the health effects of “frankenfood”, but historically, every time a certain food is modified from its original, natural state, it seems eventually to be found to contribute to cancer, diabetes, or other diseases. This recommendation is still somewhat subjective, but there is a fast-growing group of scientists, health and food experts, and people concerned about their health that are advising caution in the use of these foods. As we see it, it’s one of those, “until we know more, why take a chance?” situations, or let’s see proof (absolute) that the modified foods are safe, not accept and eat them until we have proof that they are not! Antioxidants — Get as much of this as you can by eating fresh, whole vegetables and fruits, and from quality juices. Antioxidant supplements should be from natural sources. Cold Water Fish and Fish Oil — Recommended are cod, salmon and flounder. Larger fish at the top of the food chain, like shark, swordfish, and even tuna tend to have higher levels of mercury, so eat those very sparingly. Folate — A water soluble B Vitamin, folate occurs naturally in micro-algae, sprouts, lettuce and leafy vegetables, asparagus, whole wheat, legumes and nuts, melons, strawberries, as well as in other fruits and vegetables. Folic acid, the synthetic form of folate, is used to fortify breads and cereals. Green Tea and Black Tea — Both are high in antioxidants and contain a compound, EGCG, shown to decrease production of the protein responsible for forming the plaques seen in the brain of people with Alzheimer’s. Studies used doses far higher than what you would get in a cup of brewed tea. EGCG is also thought to prevent some forms of cancer, so unless you really don’t like tea you should keep plenty of these varieties around. Mediterranean Diet — The typical diet from most areas around the Mediterranean sea contain an abundance of the ingredients and foods listed above. And a little red wine. A review of a dozen studies that investigated the effects of the Mediterranean diet found health benefits including a 13% reduction in Alzheimer’s disease. Turmeric — A growing body of evidence links turmeric, one of the main spices in curry, to a lower incidence of dementia. There are also laboratory studies that show curcumin, an ingredient in turmeric, blocks the formation of the Amyloid plaques that are so closely associated with Alzheimer’s disease. Incidentally, fresh turmeric is becoming increasingly available in many grocery stores. Furthermore, it adds a nice flavor to many foods. It could be just the thing for taste buds that are not as sensitive as they once were. Read more about the health benefits of turmeric. Apple Juice — Recent evidence has found that apple juice improves cognition and can delay the onset of, and may even work to preventAlzheimer’s disease. 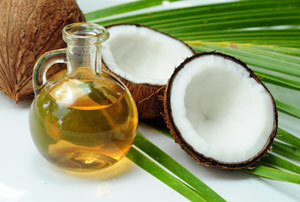 Coconut Oil has received a lot of recent attention for its health benefits, including brain health. Coconut Oil — Here’s another food that is beginning to get a lot of attention for its health benefits in general, and its effect on the brain specifically. Be a little skeptical about what is being said about this oil that was, until recently, thought to be very unhealthy. Now it is considered by some to be the healthiest oil we can use and the only oil we should cook with. There are some people who claim that a spoonful of coconut oil a day has turned around the progression of Alzheimer’s disease, that people with advanced Alzheimer’s seem to be getting better! You can find testimonials, even some in video form, on the internet. Again, be wary, but a spoonful of the stuff each day isn’t going to hurt. Please contact me if you have any information about this, first hand or otherwise, as I am just beginning my research. Another no-brainer! Diet and Exercise. The mantra of the fit generation. 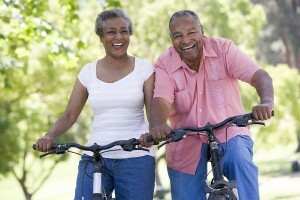 Diet and exercise may be our strongest defense against Alzheimer’s disease and dementia. And it does not matter when you start. That is, whenever you start exercising and eating right you will begin preventing Alzheimer’s, or at least you’ll begin decreasing your chances of getting it. So start today. A report from The Mayo Clinic that summarizes several recent studies concludes that exercise might be our best bet to prevent Alzheimer’s disease. Don’t forget to protect your body while getting it into shape. Head trauma can eventually lead to a form of dementia. Broken bones and bruises are no fun either. Wear a helmet while cycling, rollerblading, skiing, or doing any other activity that could risk head injuries. The Einstein Aging Study, reported in the New England Journal of Medicine, concluded that participation in leisure activities led to a lower incidence of all types of dementia, including Alzheimer’s. For this study, leisure activities were reading, writing for pleasure, playing board or card games, playing musical instruments, and participating in group discussions. 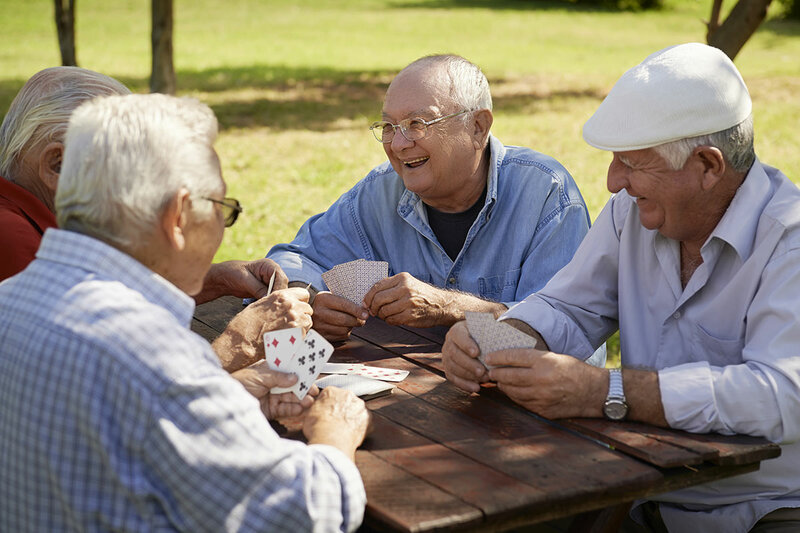 Subjects who participated in social activities one day each week had a 7% reduction in dementia risk. The risk was further reduced with increased social activity, to 63% for people who participated 11 times per week! The exclamation point is mine. You don’t often see exclamation points in scholarly writings, but I think this finding certainly rates one!! The Einstein Study is part of a growing body of evidence that a brain workout will improve brain functioning in the same way that a physical workout will improve muscle and cardiovascular functioning. Memory loss, one of the best known and most feared signs of aging, can be reversed or at least slowed by playing a musical instrument, working crossword and Sudoku puzzles, playing chess, and otherwise using and “stretching” our brain. The connection between mental calisthenics and reduced dementia is not proven, but there is a good amount of indirect and inferential evidence that this is indeed the case. For example, higher levels of education and more mentally demanding occupations correspond to lower levels of dementia. Even if you did not go to college, or your occupation was not so demanding intellectually, don’t despair; it’s not the level of education or the occupation per se that is responsible for the brain health. You could have dropped out of high school and worked 45 years digging ditches, and spent all your free time at museums and reading and otherwise exercising your curiosity. Education is education. Brain stimulation is what we are after no matter what the guise. If this is you, you might be better off: Digging ditches is physical exercise, and that counts for a lot, too(see above). And if you have not done those things that keep your brain sharp, start now. An industry is growing up around baby boomers fear of aging and the impending Alzheimer’s epidemic. Inspired by findings like those above, several companies, including Nintendo, are marketing devices designed to exercise our gray matter. But you do not need to spend a lot of money for gadgets or software. A book of puzzles, an interesting discussion, a thought provoking book, and interesting discussion about a thought provoking book; these things, too, benefit your brain. And speaking of discussion, spending time with friends, staying socially connected, will help to improve your memory and keep the brain elastic and healthy. 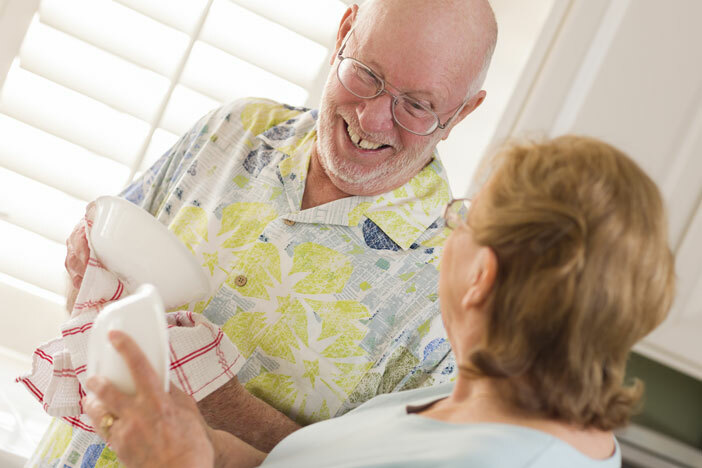 The connection between social interaction and lowered rates of Alzheimer’s disease and dementia has not yet been made conclusively. Certainty is a difficult thing in cases such as this, but that there is benefit in spending time with friends is irrefutable. There is a common thread that runs through the suggestions and prescriptions above. All, or almost all, revert to lifestyles and practices that were more prevalent at some time in our past; they propound a simpler, more natural lifestyle. We are all exposed to increasing amounts of environmental contaminants and pollutants. Furthermore, our televisions and computers have taken the place of the after-dinner discussions, the quilting bees, the barn raisings…. In short, the activities that served to further our neighborhoods and society, those activities that also served as our entertainment, made us a much more social being. Many, if not most of those are gone. It is the price we pay for living in an industrial society; we pay, unfortunately, with our health. 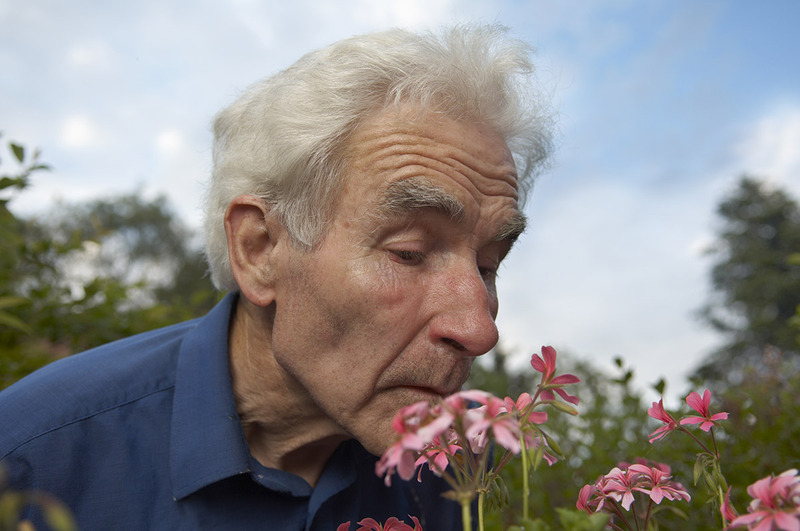 The fact that the incidence of Alzheimer’s disease is increasing dramatically, as is the incidence of most other health problems, reinforces our position that a return to a simpler, more natural lifestyle is a very good thing. We cannot know, but I would bet there is a direct correlation between environmental stress and Alzheimer’s disease. 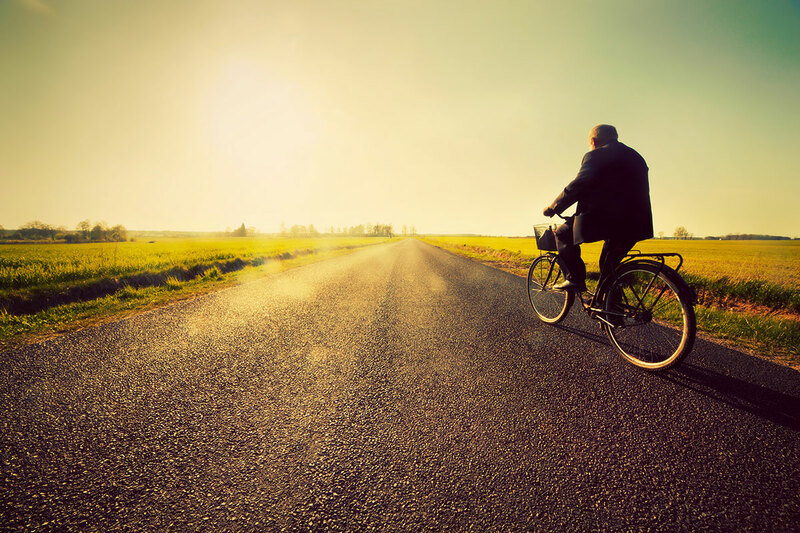 A return to a simpler lifestyle is not an easy thing to do, but it is certainly a worthwhile thing to attempt. [dropcap]A[/dropcap]longitudinal study reported in Neurology, in 2007 and known as The Rotterdam Study, followed almost 7000 people 55 years of age or older over a seven year period. The study shows a significant relationship between current smoking and Alzheimer’s disease and dementia when compared to “never smokers”. There was also no association between past smoking and dementia, Alzheimer’s, or Vascular dementia (VaD). One more excellent reason to quit now! Another longitudinal study conducted by a group in Seattle, Washington, watched a group of people over the age of 65 for a period of more than 9 years. They concluded that people who exercised three or more times a week reduced their risk of developing dementia more than those who exercised fewer than three times a week. Also according to this study, “Exercise seemed to be associated with the greatest risk reduction in participants who had poor physical functioning at baseline.” So it’s never too late to start. As long as you start now! Some more good news! There seems to be a growing amount of evidence that something in red wine might delay or even prevent Alzheimer’s disease and other dementias. Jun Wang, et. al., reporting in The FASEB Journal (the journal of The Federation of American Societies for Experimental Biology) found that Cabernet Sauvignon both improve memory and cognitive performance in subjects with AD-type amyloid beta-protein (Aß) neuropathology (the plaques part of plaques and tangles). The same study also found that the wine also reduced plaques in the brains of the subjects. Before we get too excited, the subjects in this particular study were mice. On the other hand, there is a significant amount of evidence in the scientific and anecdotal literature to support the conclusion that wine, particularly red wine, is, in fact, good in ways other than Alzheimer’s prevention. And studies involving mice often relate well to humans. The authors of this experiment do not advocate excessive consumption of wine, nor do we. Over-consumption and alcoholism can cause dementia and a host of other health problems, as well. Recommended quantities always are in the range of one wine glass size glass per day for women, and two for men (sorry ladies), Another of the conclusions: other forms of alcoholic beverages do not seem to have the same healthy properties, so no substitutions, please. Taste is very closely aligned with smell and can lead to reminiscences. A favorite meal or a particular dish one has not had for a long time often triggers a flood of recollections. 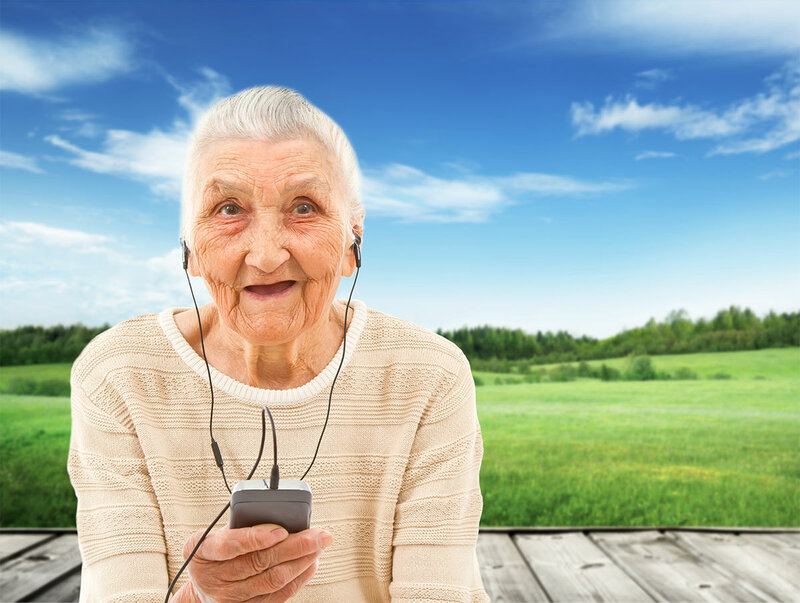 Auditory stimulation for people with Alzheimer’s and dementia is effective for mood enhancement, relaxation, and cognition; just as it is for everyone else. RT involves the discussion of past activities, events and experiences, with another person or group of people. This is often assisted by aids such as videos, pictures, archives and life story books. Four randomized controlled trials suitable for analysis were found. Several were very small studies, or were of relatively low quality, and each examined different types of reminiscence work. 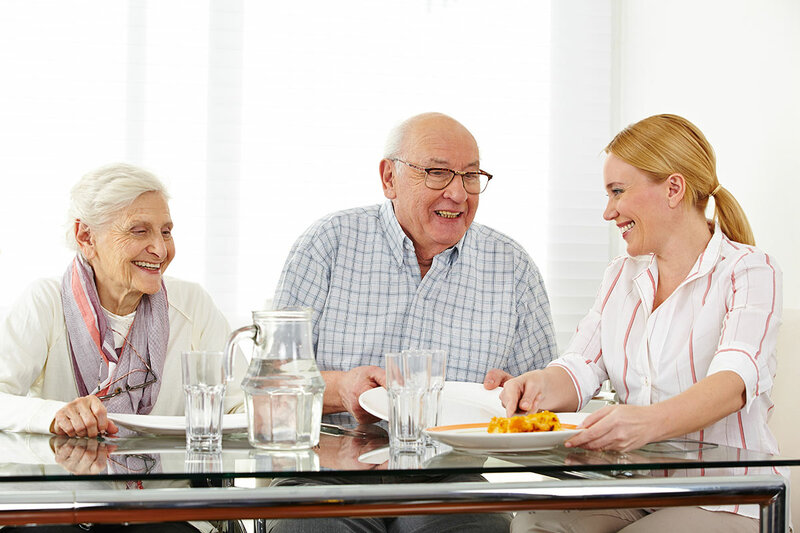 Taking studies together, some significant results were identified: cognition and mood improved 4 to 6 weeks after the treatment, care-givers participating with their relative with dementia in a reminiscence group reported lower strain, and people with dementia were reported to show some indications of improved functional ability. No harmful effects were identified on the outcome measures reported. Tamura, Toshiyo & Nakajima, K & Nambu, M & Nakamura, K & Yonemitsu, S & Itoh, A & Higashi, Yasuo & Fujimoto, Takahiro & Uno, H. (2001). Baby dolls as therapeutic tools for severe dementia patients. Gerontechnology. 1. 10.4017/gt.2001.01.02.004.00.